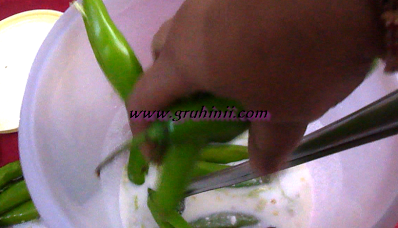 Make slits to the green chillies and remove the seeds. Collect the seeds in a bowl. 2 glasses of water to it. Mix well. Take it into a large container. Cover it with a lid and leave it for 24 hours. 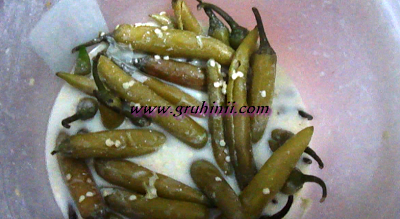 Next day you can see that the color of the chillies has changed. 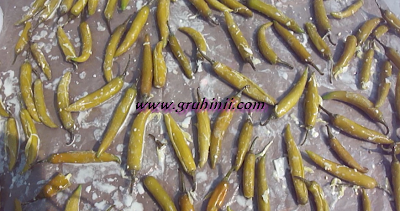 Dry them on a plastic sheet in hot sun light the whole day. Keep the remaining curd aside. 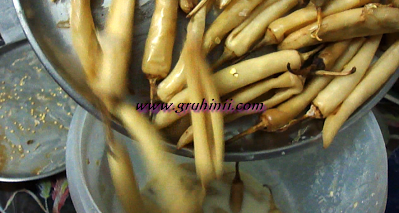 In the evening collect them and put them back into the curds. Close the lid and keep it aside. 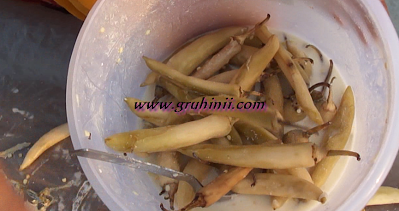 On the next day dry them in the same manner....You can either dry them on a plastic sheet or in a plate also. 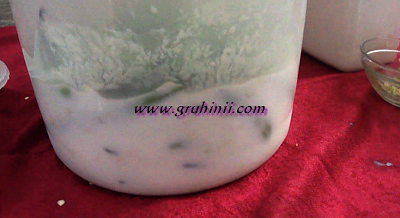 dry them continously for 2 more days in hot sunlight and store them in an air tight container.